Whether you’re a building contractor in need of quality cabinetry for your construction projects or a homeowner in search of cabinets for a kitchen makeover, Kitchen Creators can fulfill your needs! We work with you to determine the best way to design your dream based on the way you use your space, there are no standard wood species or standard finishes. Best of Houzz 2018. Cabinet Supreme offers the very best products and service. The level of care and expertise we provide makes Cabinet Supreme a great place to land with your project. Geneva Cabinet Company is an award winning Design Studio offering personalized design service and quality products for all your cabinetry and storage needs. Geneva Cabinet Company is an Authorized Dealer for Medallion Cabinetry, Plato Woodworking & Shiloh Cabinetry. We carry countertops from, Caesarstone, Cambria, Grothouse Lumber and more. Recognized as one of the Kitchen and Bath Industries top Innovative Showrooms in 2015, Geneva Cabinet Company features vignettes throughout the 3300 sq ft space with inspiration for every room. The finest cabinetry with comprehensive warranties, countertops, flooring, appliances, lighting, entertainment and technology equipment can all be experienced firsthand. There is even a Selection Room for convenient one-stop-shopping where door styles and finish colors can be coordinated with selections for countertops, hardware, plumbing and more. Serving Lake Geneva, Fontana, Williams Bay, Walworth County and surrounding areas. Farmington Woodworks has established a reputation for providing Cabinetry and custom wood products with the longest lasting most durable finishes known to the Professional market. 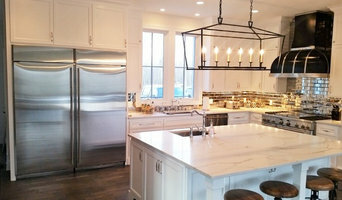 Geneva Cabinet Company is a design showroom that specializes in creating spaces that exceed our client’s expectations. While listening to our clients’ needs and desires, we develop designs that are functionally and aesthetically pleasing. Whether it's remodeling your whole home or just a kitchen or bathroom, we're here to help you every step of the way. From conception to design to construction, we will help you with everything! Wisconsin Granite specializes in fabricating granite countertops, supplying natural tile and stone as well as custom cabinetry. Get a free quote for any of our services & visit our showroom today! Since 1955, NuWood Cabinets has delivered beautiful, unique and affordable handcrafted custom cabinetry designed and built to order for each customer. Our furniture grade cabinets are proudly made in Racine, Wisconsin featuring soft-close drawers and doors with a wood box construction. We use the finest hardwoods available for our doors and frames. We carefully craft and finish every detail so that your custom cabinetry will be the centerpiece of your home no matter what room it’s in. I have been in the cabinetry industry since 1986. I had the pleasure of working for one of Milwaukee’s leading custom cabinet shops for my entire career before recently deciding to follow my dream and start my own company. I enjoy working with people and helping them translate their cabinetry ideas into something they will enjoy for years to come. It is my practice to be honest with my clients and deliver products in a timely manner, as well as to provide them with progress photos as their project moves along. It’s important to me that the customer feels a part of the entire project. While the pricing for a custom cabinet using only high quality materials may not be competitive with the big box retailers/home centers, I do promise to deliver a unique piece that captures your vision at the best price I can offer. Blue Ribbon Millwork, based in Woodstock, Illinois, has been the leading supplier of quality windows and cabinets in the northwest suburbs since 1992. In 2003 we opened our second location in Algonquin, IL to better serve our expanding market. We have assembled an excellent sales team to help you with your home improvement projects. Whether replacing windows or doors in your home, remodeling your kitchen or bath or installing new interior doors and moldings, we have the knowledge and the right products to complete the job for you. Blue Ribbon Millwork is a Marvin Window and Patio Door Dealer, authorized installer and full service warranty provider. We offer professional installation backed by one of the best warranties in the business. Come visit either of our two showrooms and browse among our displays. 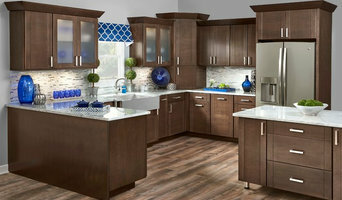 When it comes to kitchen design, quality cabinets and countertops, Blue Ribbon Millwork is second to none. In our Woodstock location we have a large display area devoted entirely to cabinets and countertops. We offer a complete range of kitchen and bath cabinets priced to fit your budget and lifestyle needs. 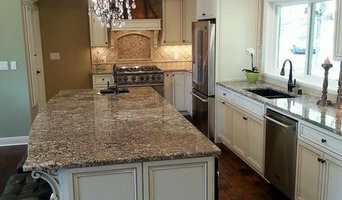 Wisconsin Granite Design has over 145 colors of granite and marble selection in Milwaukee area. We supply different product categories such as Granite, Marble Tile, Quartz such as Silestone, Hanstone, Caesar Stone and Zodiac, Wisconsin Granite Design provide and supply custom Cabinets and dealer of Bertch, Legacy, Medallion, JSI and Woodland lines. We also offer faucets, and sinks such as Artisan, Eclipse, Blanco and Kohler.. It is the ideal place for Granite Countertops, discounted remnants granite for small projects. Our main aim is to satisfy our customers with best quality and price in the market. We are experienced in delivering dedicated services on Granite fabrication & Installation and Custom Cabinet Design. Get a free quote for any of our services and visit our showroom today! Geneva Cabinet Company has been helping clients navigate the complex task of cabinet selection for a decade. We understand the planning and investment required when enhancing your home’s appearance and efficiency. By combining professional service with true craftsmanship, Cadence Custom Cabinetry (Formerly Hughes Carpentry) creates beautiful and enduring remodel projects for homeowners in northeastern Illinois. We specialize in kitchens, bathrooms, and basement finishes where we feature our custom cabinetry and trim work. By partnering with the homeowner we are able to design and build a project that fits their needs, lifestyle, and personality. To grow this kind of a trusting and enjoyable relationship we will act with integrity, honesty, kindness, and consideration throughout the remodeling process. Our objective is always complete customer satisfaction that remains long after we leave. For this reason we price our projects honestly and competitively, using high-quality materials and only the best building techniques and engineering. Our carpenters will enjoy the sense of accomplishment that comes from a job done right, and will share in our company’s success. We will maintain a healthy, productive, and rewarding work environment, so that work is a blessing, not a curse. Custom Cabinetry and millwork services for the high end residential community around Chicago and elsewhere. Specialize in collaborating with architects, interior designers, and contractors, providing multiple custom options based on project needs and budgets. When you think about cabinets, your mind probably goes straight to kitchens and bathrooms. But Waukesha cabinetry professionals’ abilities extend far beyond those obvious spaces. If you need built-in storage, shelving or custom case goods, no matter what the room or purpose, cabinetry experts can help. 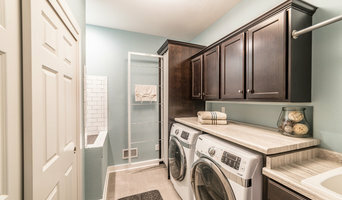 Their focus on details and space-planning skills can help you squeeze functionality from even the tiniest corners of your Waukesha, WI home. 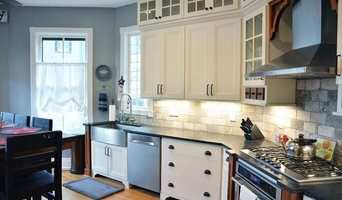 In addition, Waukesha, WI cabinetry pros can help you give worn or dated cabinets a makeover. They can replace doors; add glass inserts, decorative moldings and other details; or give cabinetry a new coat of paint or specialty finish. Your cabinetry professional might work closely with a Wisconsin kitchen designer, builder, remodeling contractor or interior designer. Here are some related professionals and vendors to complement the work of cabinets & cabinetry: Kitchen & Bath Designers, Kitchen & Bath Remodelers, Interior Designers & Decorators, Closet Designers and Professional Organizers, Woodworkers & Carpenters. Find a cabinetry professional on Houzz. Narrow your search in the Professionals section of the website to Waukesha, WI cabinets and cabinetry. You may also look through Wisconsin photos to find examples of cabinets that you like, then contact the cabinetry professional who worked on them.